Traditionally, every season we have a leg with several different seas, straits and inland waterways. This year it's going to be a leg between the Danish Helsingør, Hamlet's homeland, to Harlingen in the Netherlands. We have 420 nautical miles ahead of us, it's a fair distance, including littoral zones, locks and anchorages by the most beautiful islands. Helsingør is a small Danish town with neat little houses and narrow winding streets. Kronborg, the Hamlet's Castle is overlooking the Øresund strait. Here we get you acquainted with the ship. Together we prepare her for departure and go around Zealand island through the sheltered waters of the Great Belt or alternatively take the Baltic Sea side of it, by the tall cliffs of Møn island. The final itinerary will depend on weather and team spirit. We don't really need high swell and storms to learn the joys of true seamanship. We can do it at ease. 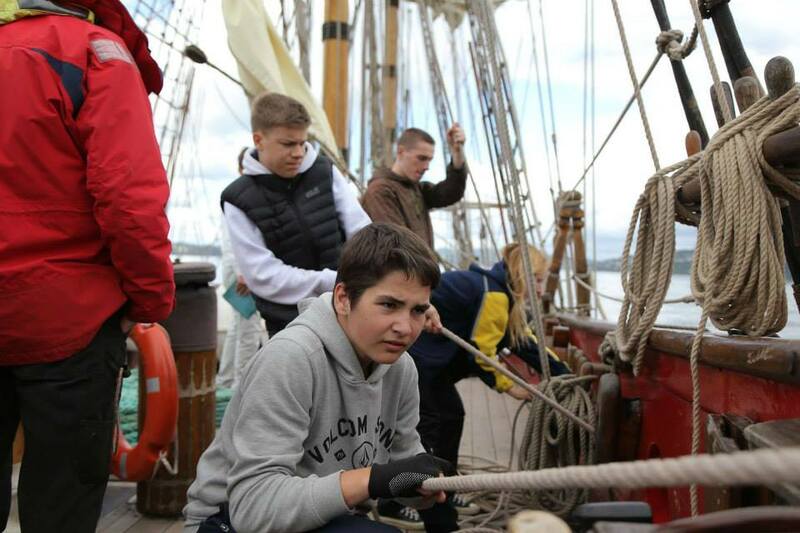 You get to learn the rigging nomenclature, the steering and sail handling techniques. And of course there's going to be ample opportunity to enjoy the beautiful scenery from the masthead. We plot a course for Germany and into our favorite Kiel Canal. Watch after watch gaining seamanship knowledge we are out for a field trip around Germany: green fields, prosperous German houses, swans slowly rolling in the swell and huge barges that you skillfully pass port to port within inches. The Kiel Canal leads us to one of the most picturesque German islands - Heligoland also known as North Tortue. The views from the island cliffs, noisy bird colonies and extensive duty free bring tourists here from all over the world. 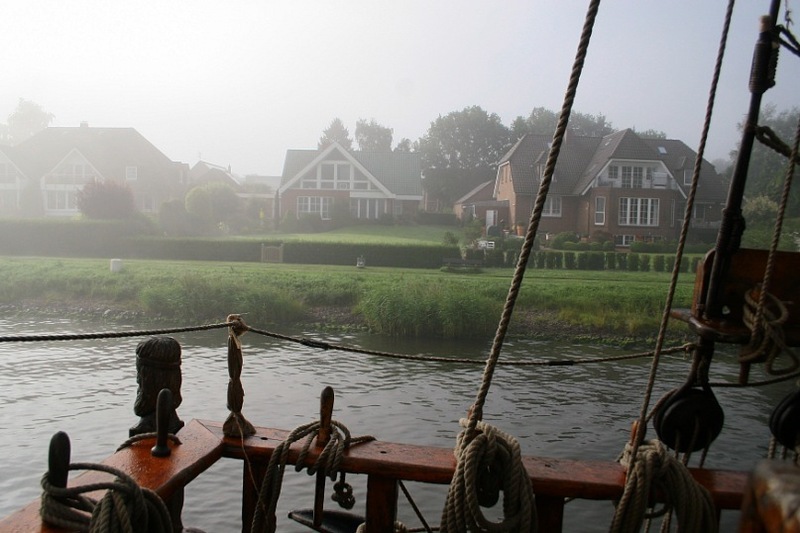 After a brief respite at the island, we cast off the dock lines and head for the Netherlands' inner waters. These waterways are the hardest along our route, there are many spots that Shtandart can only clear at high tide. Littoral zones and narrow sea lanes, this is a perfect place for navigation training: course plotting, position calculation and using tides to your advantage. The leg will end in Harlingen, welcoming fisherman port, from which you can go on on your Netherlands adventure.